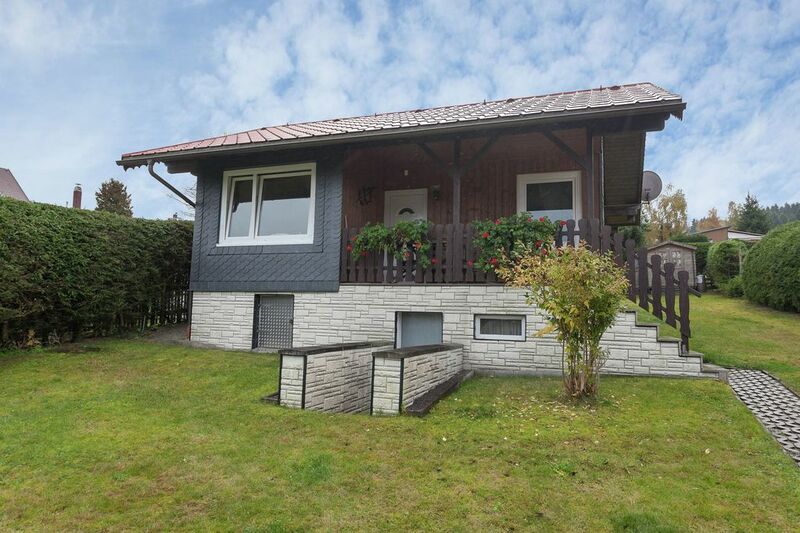 This small, detached holiday home is located in the state-approved Altenfeld resort and features a terrace with garden furniture and a garden with barbecue facilities. A playground for children is also available in the garden. The house is very warmly and comfortably furnished. In the vicinity there are many possibilities for sports and recreational activities such as a beach volleyball court, a bowling alley or the possibility to go horseback riding and sledging. The house is located in one of the most beautiful hiking areas of the Thuringian Forest, nestled between the Rennsteig and the romantic Schwarzatal, and is thus perfect for hikers. Winter sports enthusiasts will find numerous ski lifts, slopes and cross-country trails in the region. Excursions into the surrounding region: The health resort Masserberg, Ilmenau, Oberhof (with its sports facility) or the world-famous cities of culture, Erfurt and Weimar.